You walked into a coffee shop. Quickly, you took a look at the menu and in an instant, you are confused. With too many drink choices, you may find it hard to decide what to order. Among others, two of the most common options that you will find are latte and cappuccino. Aren’t they the same thing? While they are indeed both coffee-based, they are not the same. Keep on reading the rest of this post to know what is the difference between latte and cappuccino. You do not need to be a geek to know the differences between the two. Be well-informed so that next time you order your drink, you do not need to ask a barista for an explanation. Origin: Latte is an English word that is derived from caffe latte, which are Italian words that literally mean milk coffee. They have been popular in Italy for many years, although modern variations have been introduced. Cappuccino, on the other hand, is believed to have originated in Austria, introduced in as early as the 19th century. It was locally known as K﻿apuzine﻿r, which refers to a coffee-based drink that also contains sugar, spices, and cream. It became a staple drink in Italy after the World War II, an era wherein cream has been popularly mixed with coffee. Ingredients: These two popular drinks also differ in terms of their composition. Because of the variation in their ingredients, you will easily notice the differences in the way they taste. In the case of latte, its base can be any kind of coffee. In some cases, they can even be made from tea or cocoa. In an American latte, there is espresso, steamed milk, and milk froth. In the case of Italian latte, on the other hand, there is no foamed milk. Meanwhile, in the case of cappuccino, the base drink is strictly espresso, which is combined with hot and steamed milk. There are also more ingredients that can be added, including a variety of spices. Preparation: Since there are different ingredients that are used, expect that they will also differ in the manner by which they are prepared. In the case of cappuccino, you have to extract an espresso shot, have steamed milk poured on the top, add milk foam of about 2 to 3 centimeters, and finish with a dash of cocoa powder, if preferred. Meanwhile, in the case of latte, it is traditionally prepared through extracting a shot of espresso, pouring milk, adding a finger width of milk foam, and decorating it with latte art, if preferred. The good thing is that both of these drinks can be prepared at the comfort of your own home, provided that you have a high-quality machine. Even without formal barista training, you can prepare your own drinks while requiring minimal effort on your end. 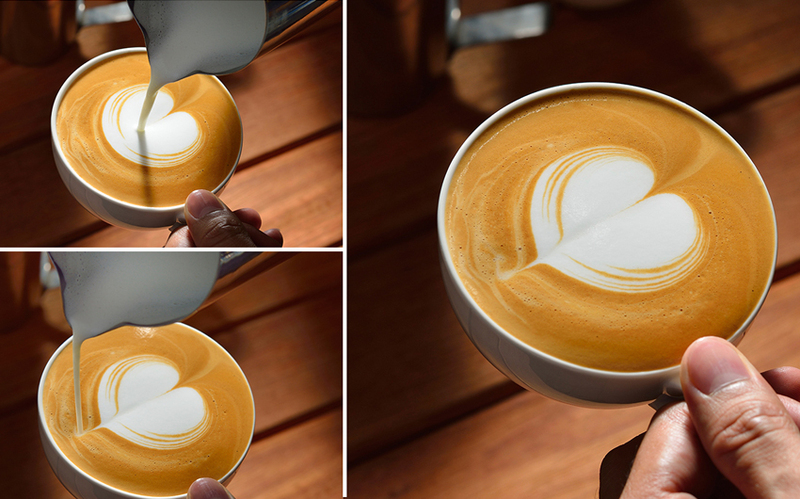 Even latte art has become easier with lots of tutorials that you can find online. Coffee machines that can prepare espresso can also be used for preparing cappuccino and latte, depending on the versatility of the product that will be chosen. Serving Style: Different coffee shops may have their own ways of serving these two drinks. More often than not, however, cappuccino will be served in a glass on top of a saucer. Meanwhile, for a latte, it will be served in a porcelain cup, which has the better ability to retain heat, and hence, keeping your drink hot for an extended period of time. It is also common for lattes to be served with decorative art on the top. Cost: There is almost no difference between the cost of latte and cappuccino. The variations in their price will depend not on what you will order, but where you will order. More often than not, however you can expect that their price will almost be the same with each other. What is better to order – latte or cappuccino? There is no answer to this question, since at the end of the day, it all boils down into personal preferences. Their taste can also vary depending on where you will have it ordered. Generally speaking, however, cappuccino is chosen by people who love extra foam and chocolate. Latte, on the other hand, can be an excellent choice if you would rather enjoy the genuine taste of strong coffee. By now, we hope that you are already aware on what is the difference between latte and cappuccino. It is not difficult to understand their differences and similarities. Share this knowledge with your friends and they will be impressed with what you know.